Let’s talk about something fun! Today, I want to discuss a game called “Chuck’s Challenge”. It’s neat casual game with lot to offer. The big characteristic of a casual game, as noted by this “Tech Stuff” podcast from HowStuffWorks, is that they have a simple mechanic that make up a fun and addicting gameplay. Plus, they allow us to pick up the game, play for a bit, and leave off, at anytime. This is the reason causal gaming has done so well in adaption, especially in mobile devices. Chuck’s challenge is basically an obstacle course, with simple mechanics. The player needs to guide the main character to the finish by navigating around the level. After reaching the finish, the player moves on to the next level. Various game elements and enemies allow for some challenging levels. Some levels are puzzles, some require reflex, while others let you explore a large level, going to different places, collecting keys that open doors, and finding your way out. And of course, there are levels that combine all of these into one mega level! The campaign of this game contains 100 levels. 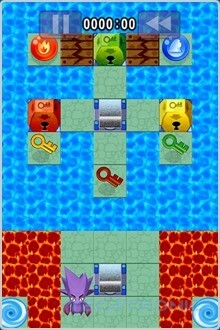 The beginning levels are very simple, slowly teaching you the mechanics and introducing you to the game elements. The levels gradually get more difficult, but they don’t become too frustrating. There is something about the levels that gets you hooked, and I will tell you, once you start playing it, you will become addicted. If you are of the creative mind, this game has great things to offer. There is a built in level editor that allow you to make your own adventures. Since the mechanics are simple, it doesn’t take long to create great levels. 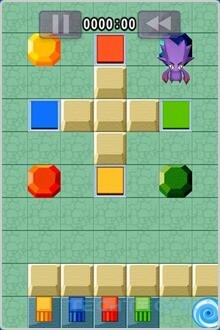 You can set the size of the levels and place the game elements on level using touch or point-and-click. It’s very easy to switching between play-mode and create-mode while designing a level to test how your level works. When you are done designing, you can upload your levels and share it with friends. The best levels and the newest levels get featured, so they become more discoverable. 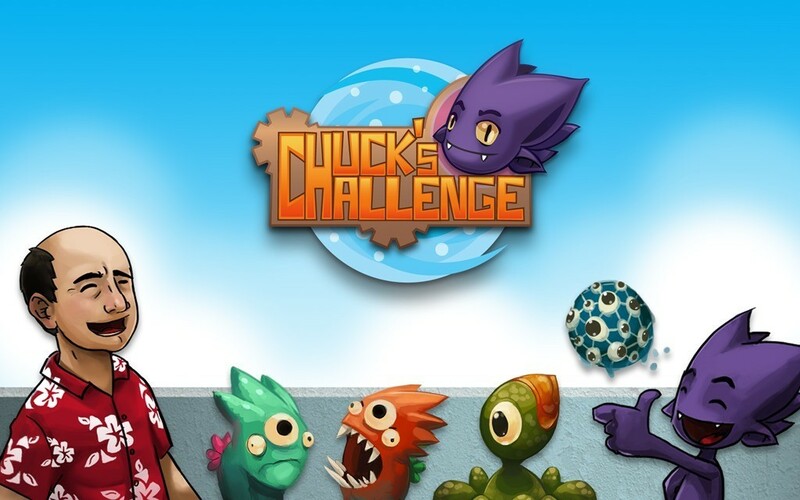 Chuck’s Challenge is available iOS, and you can find it on the App Store. A version for the PC and the Mac is under development an is based on the Unity game engine. As a leading gaming platform, Unity allows for porting games to multiple platforms very easily. The developer of the game has announced plans to make an Android version in the future. Here’s a video demonstration I did for the game, running on my iPod Touch. I demo some levels, and show how easy it is to create levels. The music in this game is the actual game’s soundtrack, if you were curious! Here’s a sneak peak for the desktop version of the game, made in Unity. You can see, the graphics for the game is improved and features a higher resolution. The game also features 3D prospective.